A man has become the cynosure of all eyes after he showed off a huge python he killed in Bayelsa state. A Nigerian man has reportedly showed off a huge python he killed in Bayelsa state yesterday. According to reports, the man single-handedly killed the huge python in Otuan community in Southern Ijaw local government area of Bayelsa State. 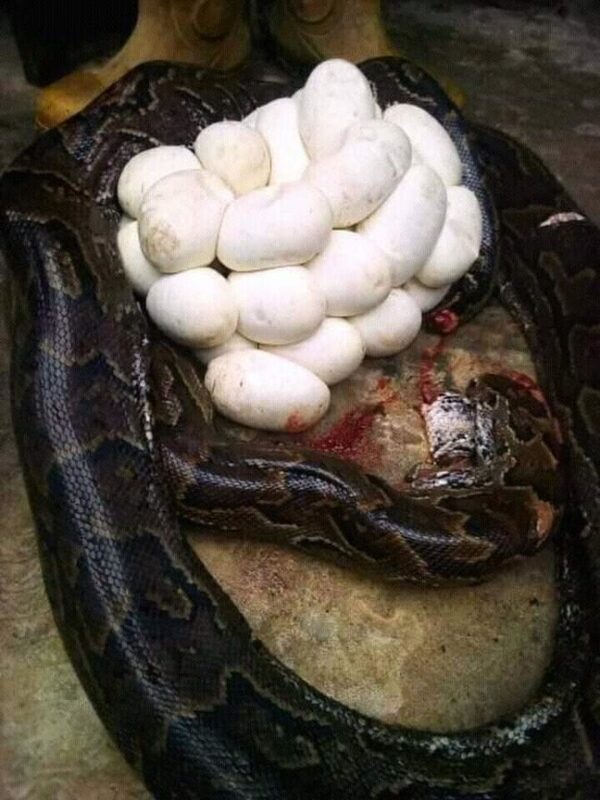 He also found big eggs in the reptile’s stomach after the python was butchered. 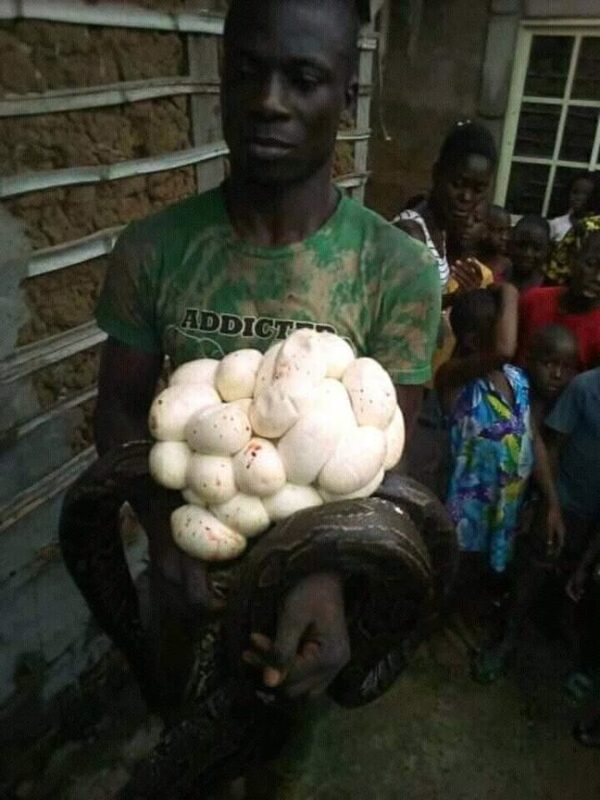 The man posed with the python after killing it as residents gathered at his abode to see for themselves and also ‘congratulate him’.